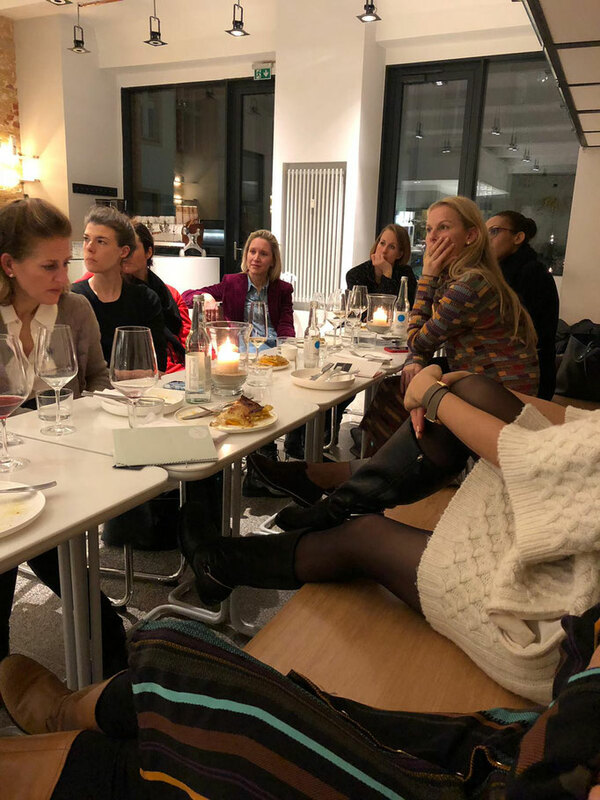 Berliners, Hamburgers, old and new faces, good conversations, common ideas, beautiful wine and a fun evening that also benefits others - that's the idea. Wille, Wein & Weiber was born on my first birthday back in Berlin, after 7 years in Hamburg and united girls who didn't know each other yet: old friends from Berlin, friends from Hamburg who had travelled to Berlin and new friends from Berlin met each other and it was all so much fun that we wanted more of it - alternately in Berlin and Hamburg (and soon also in Zurich)! Every woman brings one woman with her. Every woman pays for herself. I'm very much looking forward to your participation, great networking and hope for all of you at the next appointment, whether in the mother- or capital city (link to the group)! 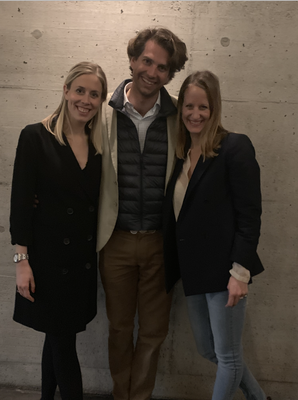 WILLE, WEIN & WEIBER goes Zurich! 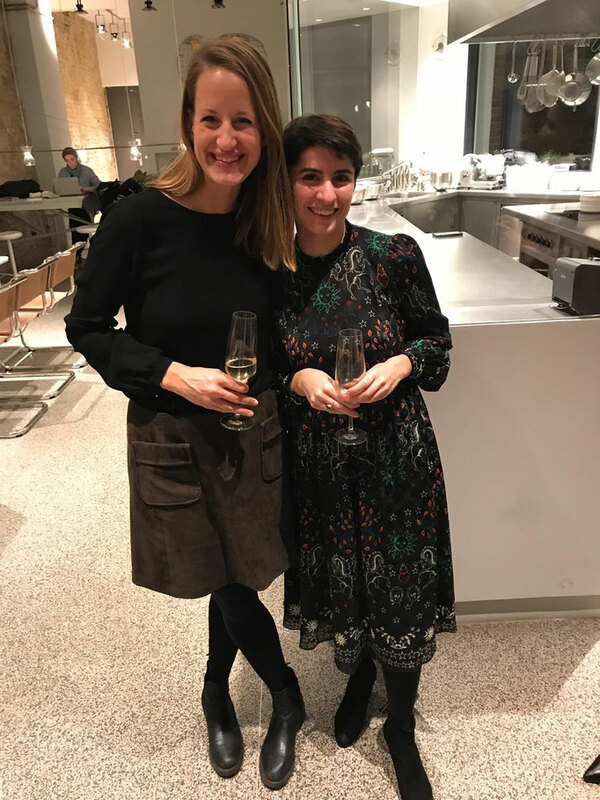 Finally what my dearest friend Helena and I had planned for months has worked out: A women's evening in Zurich - and what a night! A big and incredibly exciting group of women from all over the world, two men (!) and Wilhelm von Stotzingen from the Learning Lions, who was the first male speaker of the format and he gave a grandiose lecture on his heart's project. The Learning Lions start where help is most needed: in East Africa in Turkana County, the most disadvantaged area of Kenya. There, young people are being trained as IT entrepreneurs. The aim of the Lions is to use Kenya's great demographic potential, because 80% of the population here are under 20 years old - unimaginable with the opposite development in Germany! These young people are to be trained for the digital industry, because today everyone in Africa has the Internet. Thus a perspective for an independent life can be created for them, and that in an area, in which otherwise absolutely no economy exists and no other possibilities are present. So the educated remain faithful to their homeland and do not move for work in large cities, which cannot catch the masses of immigrants any longer. A vicious circle that Learning Lions breaks. An all-round impressive project that Wilhelm and his wife Charlotte launched in 2015. 170 Kenyans have already completed their training and stand on their own two feet as media designers or programmers. 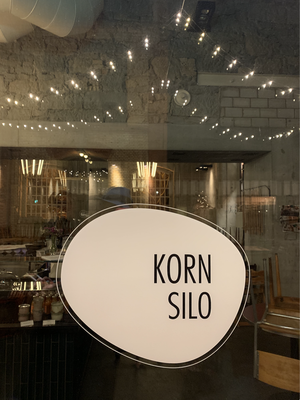 Thanks to everyone for this great start in Switzerland - and especially to you, Helena - you organized a wonderful evening in such a beautiful grain silo with a great mix of women (and brave men! 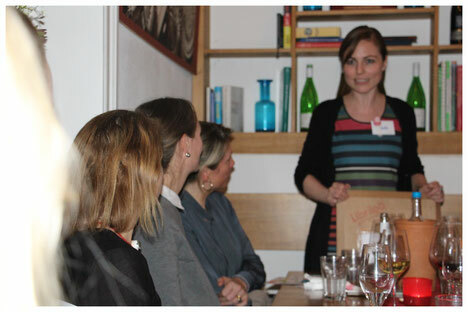 ), even Beyza from Berlin was there! Zurich, we'll be back! As colourful as the wonderful Beyza Nur Özler, who took us into the new year with her inspiring manner. How she describes herself? On Instagram she writes: Mother of two. Nomad soul. Carpet dealer. Business account: @wildheartfreesoulberlin. Your passion? Yes, exactly carpets. Exactly Kilims. The colourful marvels that awaken every room and every room with colour. The forms show like the Elibelinde, a strongly abstracted woman who puts her hands on her hips. Or, in short, Agz and Akrep, Wolf's Mouth and Scorpio, the two ancient protective signs of the shepherds. Or eye and amulet, which offer protection from evil and are considered lucky charms. 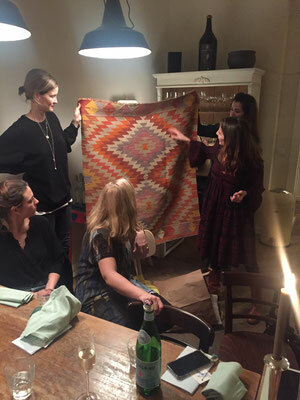 "Whoever places a Kilim in his room will be rewarded with fullness of life," she says about her protégés. Beyza told of her Turkish roots and of her parents who emigrated from Turkey to Swabia in the 70s and rebuilt their lives in Germany as guest workers. And so her roots remained foreign to her and it was only after her studies of textile economics, her move to Berlin and much more that her desire to get to know them prevailed. She travelled to Turkey with her first daughter Rosa - and found so much more than she could ever have imagined. She found her home. From the very first moment, these beautiful, colourful, hand-knotted carpets from the 60s and 70s, which she took with her to Berlin and sold to friends and acquaintances, were part of it. The demand was so great that she organized the first bazaar in Berlin in April 2014, her "temple" was born. Wild heart free soul, that's what she calls herself and that's how she called her business, which today sits in Prenzlauer Berg and attracts people week after week who want to get a piece of this Beyza feeling. And Beyza herself, what is her dream? To open a school in Turkey that also inspires young people for this craft and keeps this tradition alive. "I'm afraid that there won't be any more soon," she says. Beyza still buys directly from the women in the mountains of Turkey, supports the local weavers and wants to keep this craft alive. "The women used to weave particularly beautiful carpets for their own families," she says. These are true works of art. There are very few of them left". She told us about them and much more. 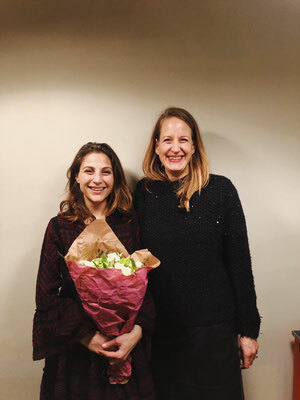 Thank you, dear Beyza, that was a wonderful start to the year with you! 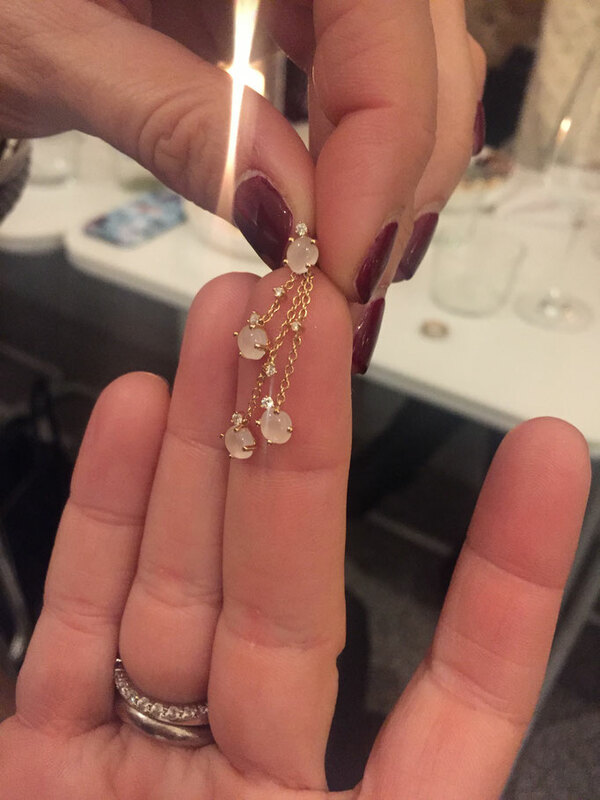 Just in time for Christmas, on the 10th WILLE, WINE & WEIBER evening I was able to win a woman as a speaker who focuses on exactly what we all associate with love, beauty, elegance, luxury and refinement, without knowing what is really behind this industry: the great Guya Merkle from Vieri Fine Jewellery talked to us about jewellery, about precious stones, about gold and also about where all the sparkling stones and shiny precious metals come from. 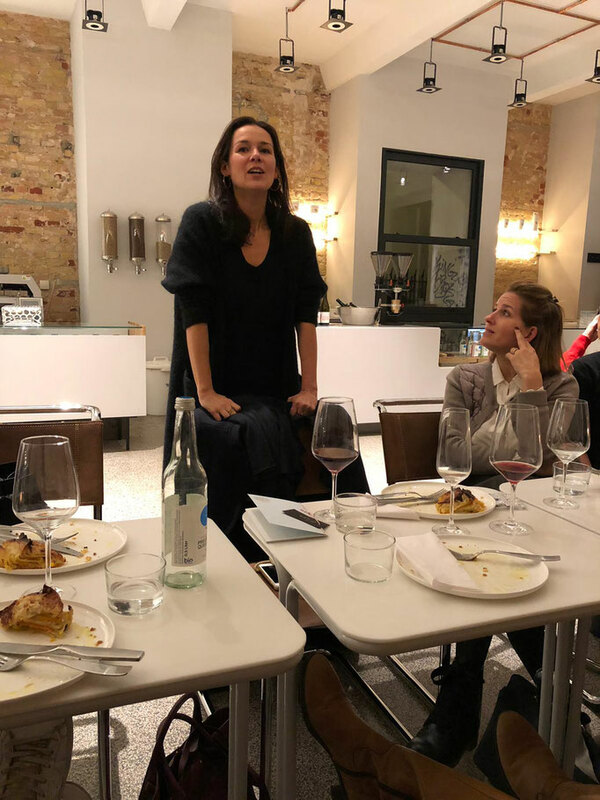 In a small, intimate and nice round we met for a great dinner at Arabica in Berlin Kreuzberg and listened to Guya after the main course, fascinated by her beginnings as a revolutionary in gold and precious stone mining. 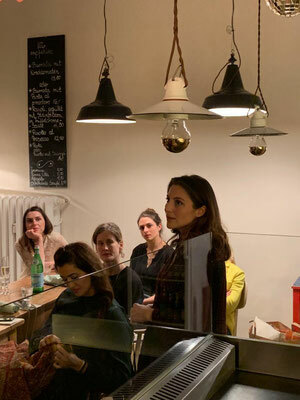 When she suddenly and surprisingly took over the family business at the age of 21, she found herself in a Swiss mountain village from one day to the next and was responsible for the business in a business to which she never really wanted to belong. Growing up in a jeweler's family, she actually aspired to other fields, and then continued what her grandfather started in Pforzheim at the end of the 1930s. But the decisive point: Guya changed things. When she travelled to Peru to see where all the gold that her company turned into jewellery came from, she saw children working in gold mines, families without any other perspective, mothers with children following their fathers into the shafts and a system she could not accept. So she decided to turn this industry of feelings, desires and luxury upside down. She herself wrote that she saw her chance to follow in her family's footsteps, but that her personal touch contributed to it: fairness. 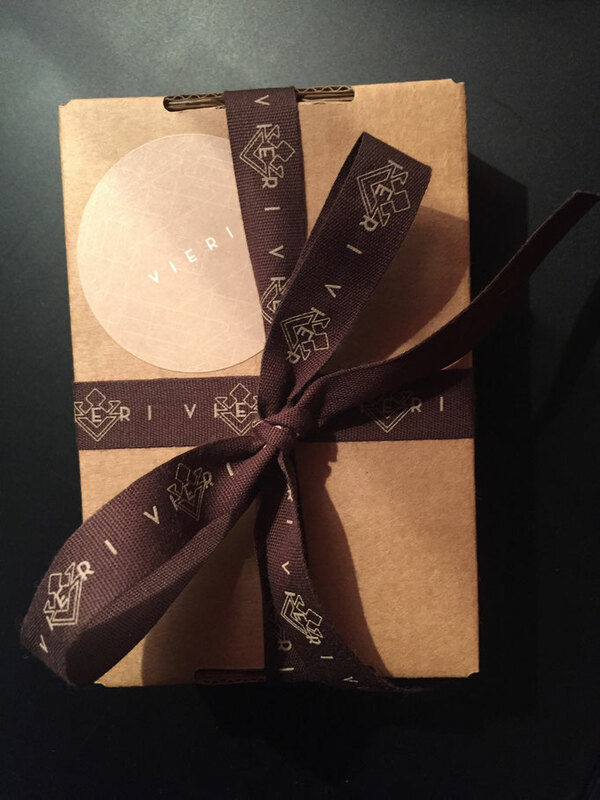 Today the company is called VIERI and works exclusively with fair won and processed gold, mostly old gold. Because Guya's philosophy is to use all the gold that has already been extracted from the earth and not to continue mining new gold and to let this finite resource rest. "In 30 years there won't be any more gold anyway," she says. "We have to rethink." In order to bring about change on the ground, Guya is creating new sources of income for the people with its earthbeatfoundation foundation. In Uganda, beehives are being set up (and they needed them anyway!) and people are being trained as beekeepers to enable them to find new ways that will not force adults or children to work in the unhealthy and dangerous gold mines. 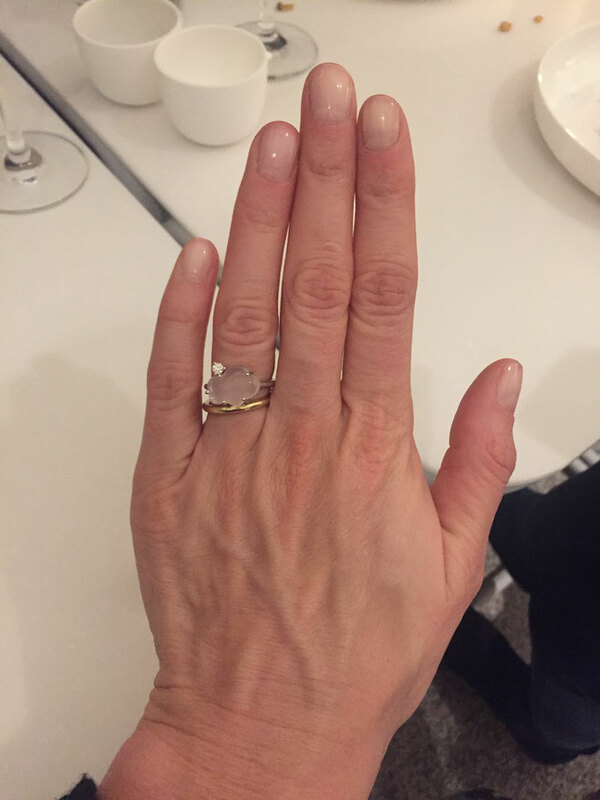 Guya's philosophy has convinced stars such as Rihanna and Emma Watson - and she also made us all shine when she showed us one or two of her beautiful pieces of jewellery. Such a big, warm evening that made us all freeze in admiration for Guya, who moves so much and transforms negative things into positive ones - thank you, Guya, that was really special! The donation pot of € 465 went to earthbeatfoundation and will hopefully move a lot - thanks to everyone! We almost cracked the 50's mark and romped around cackling and NETWORKING (!) in the Klippkroog in Hamburg Altona (Big thanks also to you!!). There were women with whom I was at the horse farm and who still trot through my life today, women who were my boss, women with whom I once worked together, women whom I know through our friendly men, women who have already been to the women's evening and spoken there, women with whom I am related, women who are married to my youth friends - and: many many women whom I did not yet know! How did this happen? 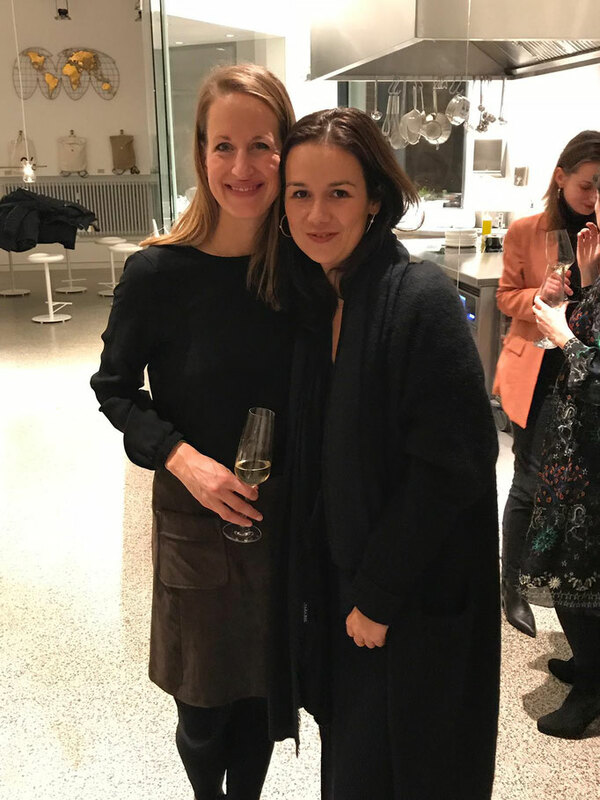 Martina van Kann also shot great photos throughout the evening - for which I would like to thank you from the bottom of my heart and which are all linked here! 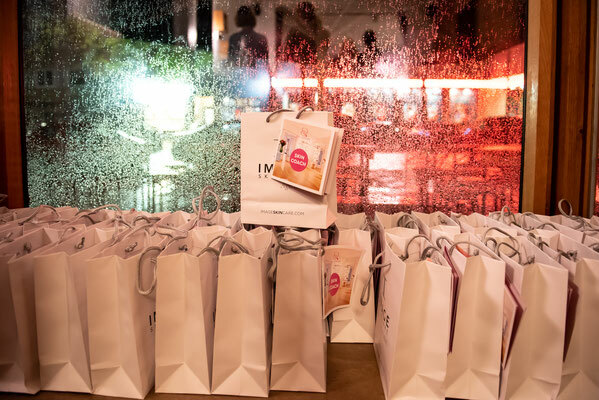 Finally there were even real give-away bags with beautiful things by Ewa Duhnke from Ewa Duhnke cosmetics , Katrin Lange from elikat , Susi Leyck from Gesund & Mutter and Enja Jans from MOKA Publishing. The donation pot of € 250 went to the Hamburger Tafel. I thank everyone who was there - what a round! 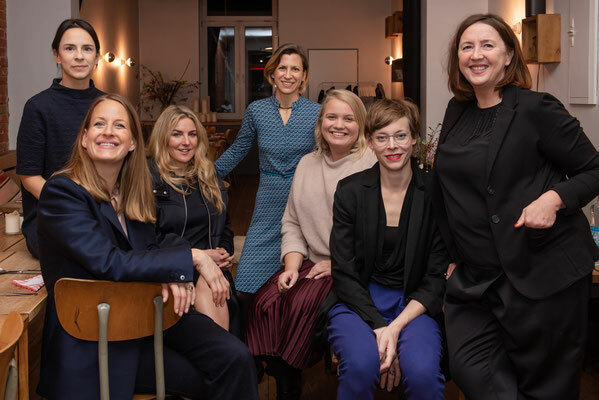 A heart project in the truest sense of the word: KINDERFLÜGEL stands for a non-profit limited company that supports children with congenital heart defects. 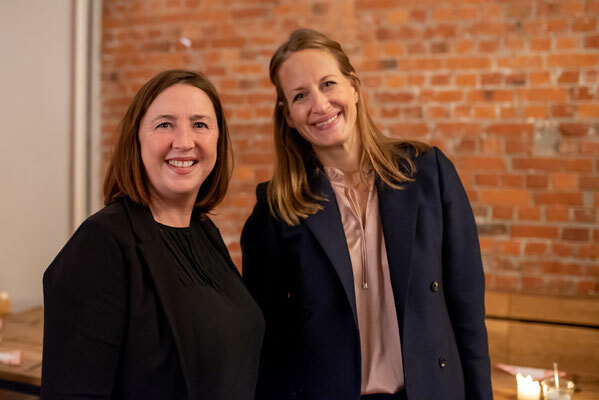 At Weiberabend #07 in the west of Berlin, founder and managing director Christiane Roeb-Kapell was our guest to talk about her commitment. 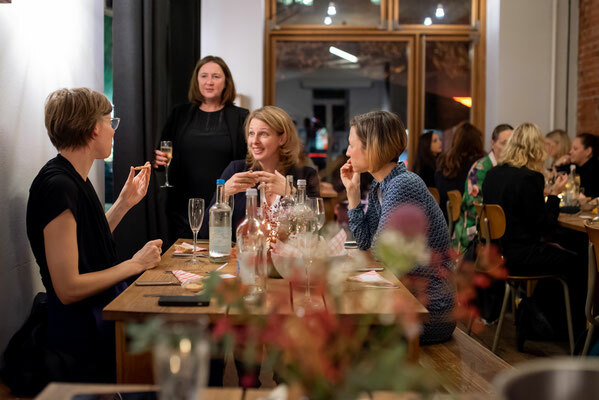 On one of the first warm spring evenings we met at TOKI - THE WHITE RABBIT, the new shop of The Duc Ngo, who has just been voted Gastronomer of the Year - rightly so! 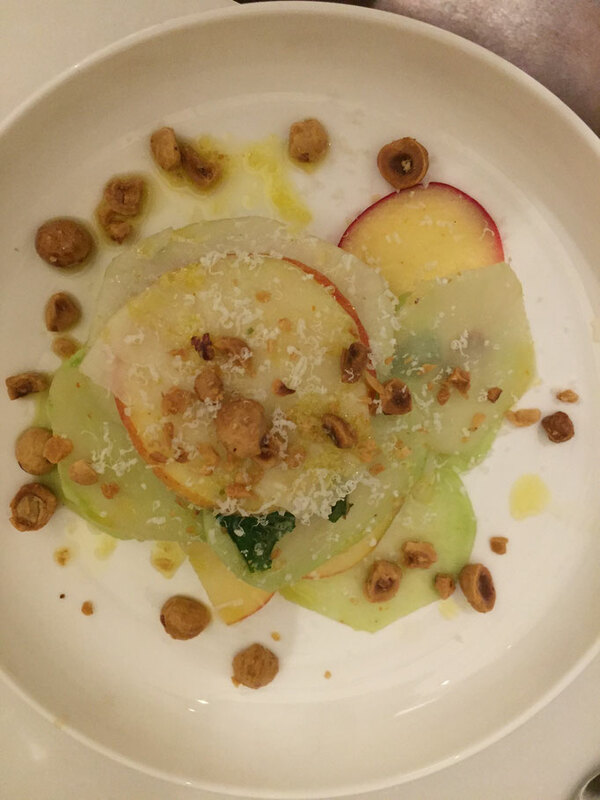 We ate a delicious vegetarian and vegan menu, gormandized through starters and main courses and got to know each other. Again such great women and a great mix! Journalists (of course, BILD is always there and doesn't let me down! 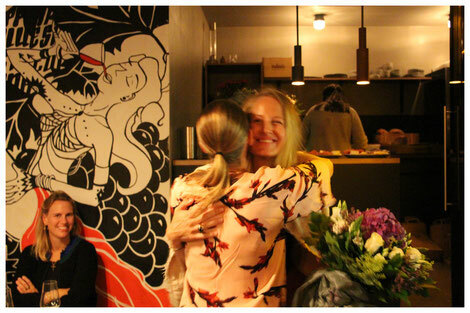 ), yoga teachers (https://www.kristinakraft.de), Shiatus experts, founders (https://www.systemofmotion.co.uk), graphic artists (http://www.schoenbachdesign.de), singers, mothers (!!! ), soon mothers (!!! ), advertisers, restaurateurs (is there a female form? ), venture cafés (http://www.schoenbachdesign.de), and the "BILD" (the German magazine for the arts). 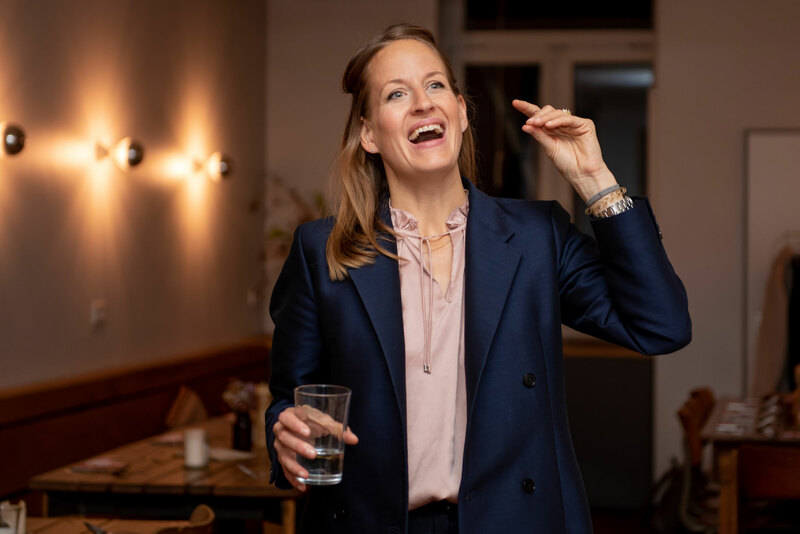 http://www.chupenga.de), venture capital ladies, pharmacists (http://waage-apotheke.de/de/), lawyers, old colleagues from the university and from agencies, my dear friend Kathrin with her straw shoes going through the ceiling (https://www.instagram.com/strawshoesblondhair/) and many many many more - it was wonderful! For dessert we went in and Christiane talked about KINDERFLÜGEL and her very personal story. Because: her son was born with a heart defect. 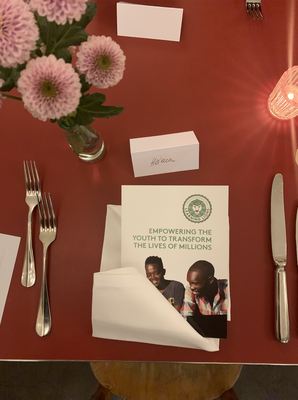 "For a long time I had something to do for these children in my head," she says, "and in 2010 my husband and I founded the non-profit limited company and got started. Since then, KINDERFLÜGEL has been supporting children with heart disease and their parents to finance missing equipment in the hospital, but has also been helping children who come back to their families after their protracted treatment to have a sterile environment at home, because this is usually absolutely necessary. KINDERFLÜGEL prepares the children in the hospital for a merry Christmas, buys toys or intervenes in things that seem so self-evident, such as a new coffee machine. There is no question that help is needed here - and in this case the absolute record sum of € 920 came together! 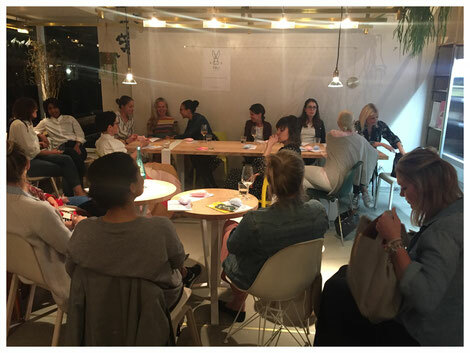 THANKS TO ALL THE WOMEN FOR THIS GREAT EVENING AGAIN! 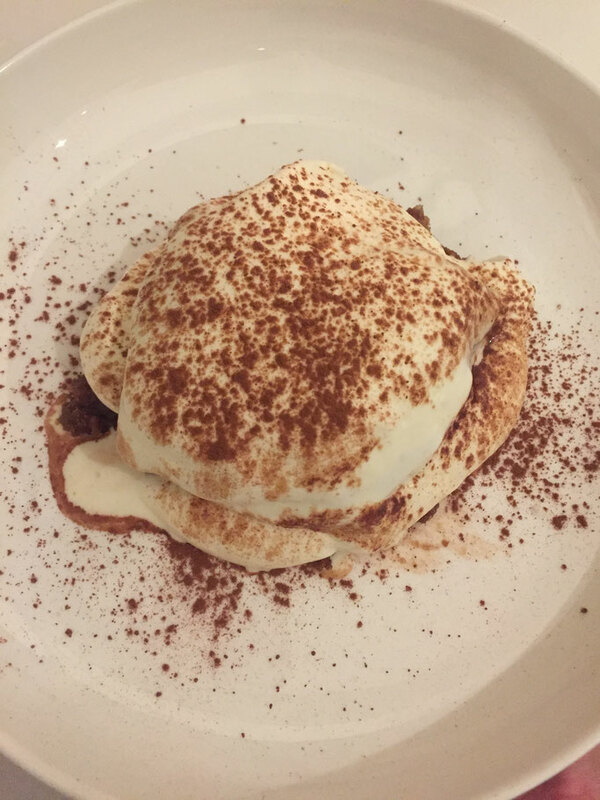 Being a child again - that was the feeling we had at our last WILLE, WEIN & WEIBER meeting last weekend in Hamburg at the König in Ottensen. What brought us to it? That in children's books and picture books with Librileo and Carlotta Schulz, whom I would like to thank again from the bottom of my heart for bringing this project closer to us. Every 3 months Librileo sends out book boxes for children between 0 and 6 years old who live in families, who get money from the Jobcenter (in this case free of charge) or who are not familiar with reading. The book boxes are always adapted to the age of the child and deal with topics such as "Courage", "The first bath", "Visit to the paediatrician" and so on. There are also reading aloud sessions where Librileo reading ambassadors read from all the beautiful books. We brought and donated our favourite children's books for these reading sessions and collected money for the book boxes, so that now even more children can benefit from this beautiful initiative. Thanks to all of you, as always a very nice evening! Absolutely tell others and support, because: All children need books! 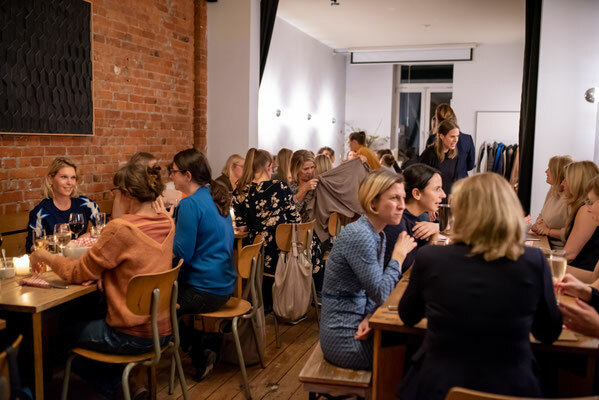 In November 2017 #willeweinundweiber was back in the capital, but with a visit from Hamburg: Lewi Brinkama came to spend the evening with us in the Night Kitchen Berlin and to bring us closer to A HEART FOR CHILDREN. 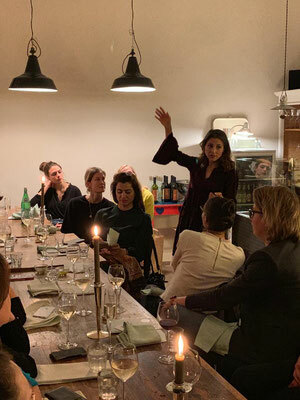 A wonderful and delicious meal with women from the media, fashion, PR, startup scene, politics, education, sustainability, art and theatre, which again brought women together and filled the donation bag for the ongoing projects at EHFK with Lewi's warm lecture - thanks to everyone! Weiberpower in the mother city - this time in Hamburg and then on St. Pauli, more is not possible! 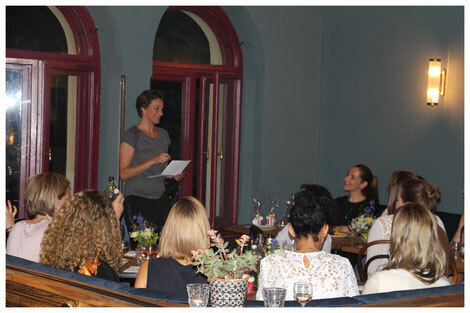 30 great women, a great speaker, great wines (number unknown) and a great evening - thanks to all the women who made it what it was! On September 15th it took us to the wine shop St. Pauli in my second home Hamburg. And there I could finally say it: a big, big thank you to my friends Svenja Weber (who unfortunately is not on a photo!) and Beate Keil, who both supported me so much on my way last year - THANK YOU! 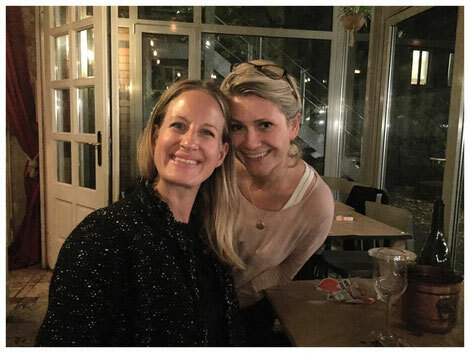 Best example of how important it is to have good friends and women at your side (like here at the women's evening!). 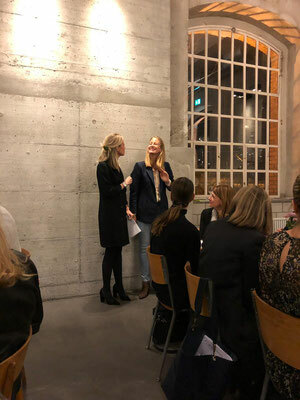 Afterwards Pernille Behnke spoke to us, who kidnapped us into the world of happiness and made clear again, by what small adjusting screws we all day by day our life - and also that of others! - a little bit more beautiful. Thank you, Pernille, that was wonderful! And then came what the wine shop is so famous for: best wines and delicious snacks! Thank you all and also tastesheriff-Clara who took these photos of us - it was wonderful! Berlin in June. Yes, a networking evening. Among women. Everything has existed for a long time, of course, but that doesn't matter. Wille, Wein & Weiber was created after my last birthday. There it was Berlin in January. Berlin in January, we don't have to talk about that. And each, really each year, I quarrel with my "day of honour". Christmas is over, New Year's Eve is over, everyone is tired. It's grey, nobody wants to see anyone. It's the time for books, for good movies, for candlelight, for classical radio and peace. But somehow I always celebrate and drum up the girls together. Getting old together is nicer. 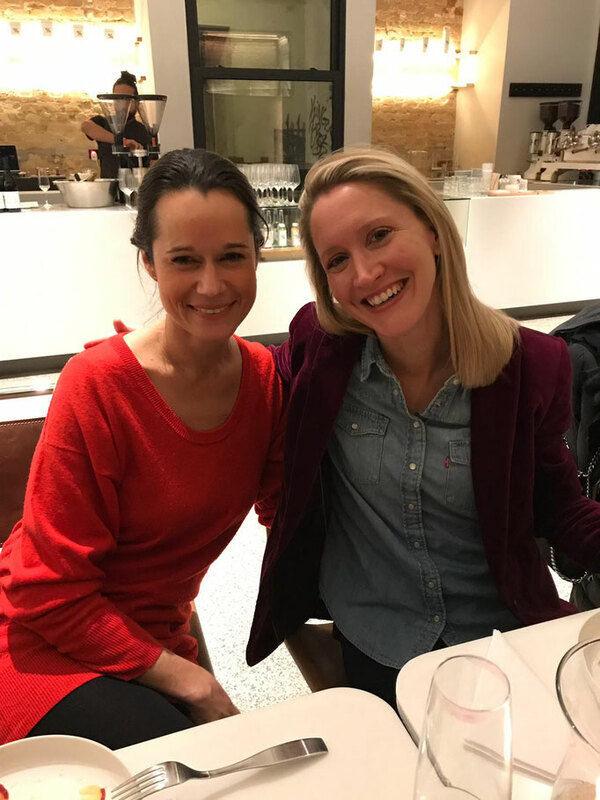 This year there were many still unknown faces: old Berlin girlfriends (Katharina from kindergarten! ), new Berlin girlfriends (because I live in the East now, crazy!) and Hamburg girlfriends who came and celebrated with me in the skulls (love it! The gilthead on Fridays, and the apple pie only...!). Thus a great mix came about, which was a lot of fun for everyone. Because we didn't know each other and sat every Friday or Saturday evening in the same round and discussed the topics of the week. We wanted more of that! 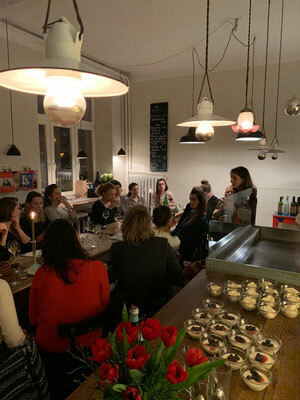 Berliners, Hamburgers, nice wine, good food, a fun evening and all that also with a benefit for others. Very simple idea: Every woman brings one woman with her. Every woman pays for herself. And every woman donates as much as she wants to the project that will be presented at the evening. 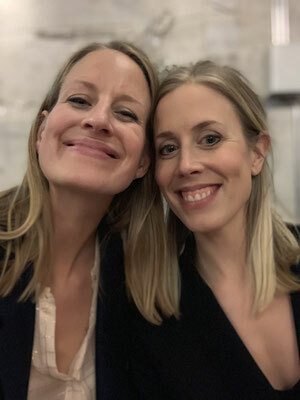 Now on this June evening in Berlin already round 2: WILLE, WEIN & WEIBER #02 - The money hangs on the trees with managing director Svenja Weber. The evening at Betty'n Caty (many thanks to you for the delicious food!) 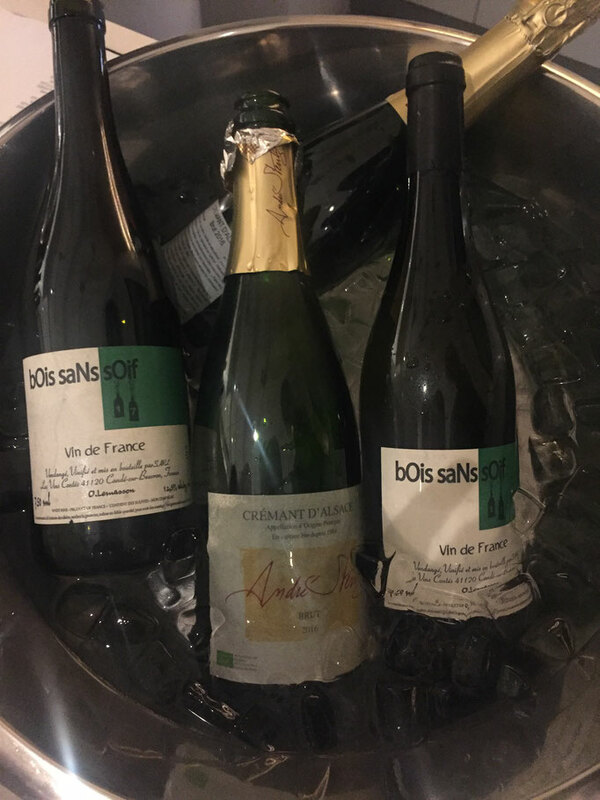 started with Cremant on the terrace and started so well that we almost talked about coming to dinner. Strong girls and women who keep marketing companies going, who trade online, who work in corporate legal departments, who cut films to what they really are, who work in great social, fair trade and sustainability projects and who implement their own ideas, came together here and suddenly had many common approaches and themes - just as it should be! 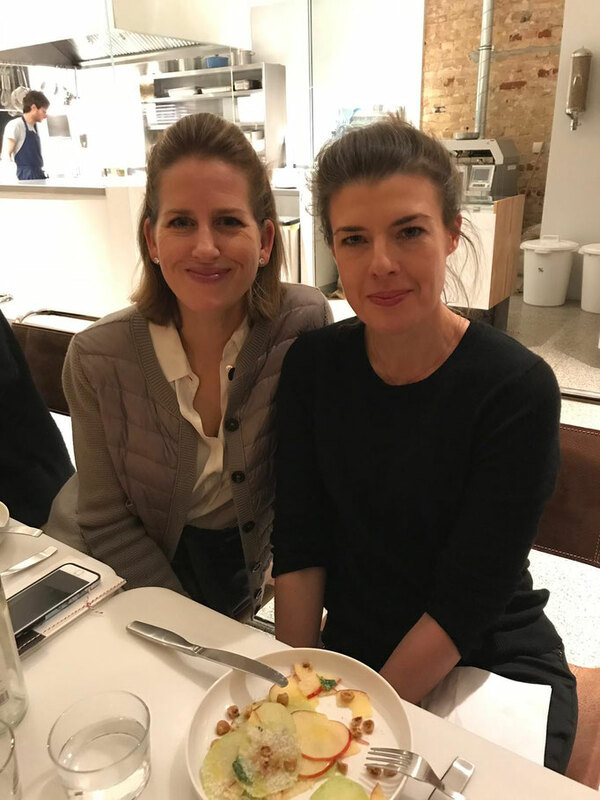 After super salads and a nice asparagus risotto, but still before the sinfully good dessert, Svenja talked about her project from Hamburg and how it changed her own life - thank you, Svenja, that was very impressive! More photos and impressions of the evening also on Facebook and Instagram.